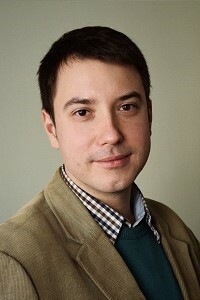 Łukasz Bukowiecki has been a research assistant at the Institute of Sociology of the University of Warsaw since April 2018. He is also a PhD candidate at the Institute of Polish Culture of the same univesity where he has prepared a dissertation devoted to planned but never opened museums in Warsaw in 20th century (expected conferment date: autumn 2018). Łukasz holds MA in cultural studies. His academic interests focus around issues of social construction of heritage, cultural history of museums and urban memory. He has contributed articles to main Polish academic journals in the humanities, including ‘Teksty Drugie’, ‘Przegląd Humanistyczny’ and ‘Kultura Współczesna’. On the basis of his MA thesis which was devoted to the history and functions of open-air museums in Sweden and Poland he has published a book Czas przeszły zatrzymany. Kulturowa historia skansenów w Szwecji i w Polsce [The past arrested. Cultural history of open-air museums in Sweden and Poland] (2015). In the frames of the ECHOES project Łukasz is a project assistant supporting the Work Package on City Museums and Multiple Colonial Pasts. He also cooperates with an international project „The Europeanization of realms of memory and the invention of a common European heritage in Poland and Sweden” funded by National Science Centre of Poland. He was a member of the research group which has received a grant from the National Program for the Development of Humanities for a project „Topo-Graphies: city, map, literature” (2014–2017).